Home / Nature Tales / Brown Dog! Where Are You? Brown Dog! Where Are You? Brown Dog! Where Are You? is a story of a little girl who can’t find her favorite pet, Brown Dog! Snuffy, a Chocolate Lab, was a gentle giant! Ghillie, an American Water Spaniel was spirited, a bit growly, and very devoted to me! Mister Bear, a Spanish Water Dog, was independent, funny, and loved to swim in the lake! Beaver, Mister Bear’s brother, is loveable, caring and a little neurotic! Guinness, a Spanish Water Dog, is the clown of the family and bursting with personality! Hazel, Guinness’ sister, even though shy, is the protector! 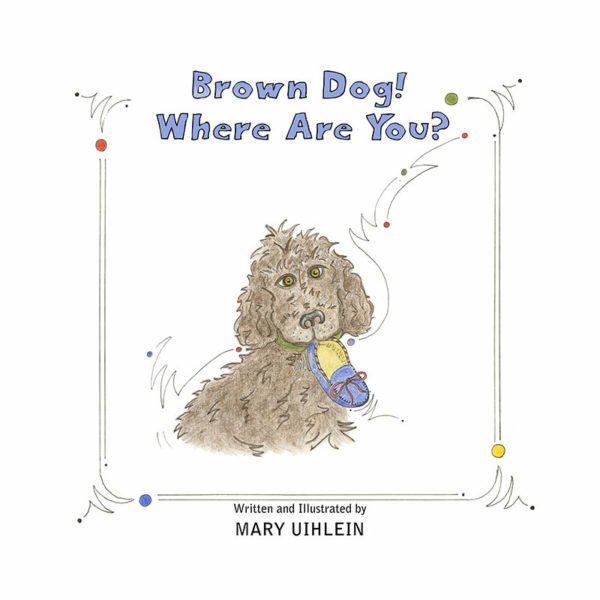 Each one of these brown dogs was “lost” at least once!